→What is The Best Scope for Marlin 336? Find the Answer Here! What is The Best Scope for Marlin 336? Find the Answer Here! Among lever-action rifles, the Marlin 336 is known as the best deer one ever made. 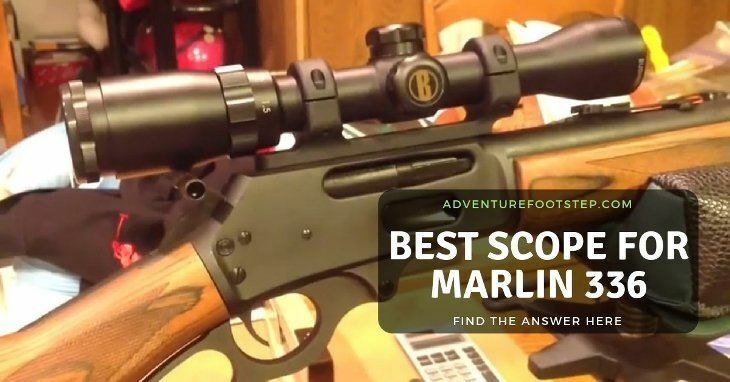 But why don’t you improve its accuracy and power by investing the best scope for Marlin 336? If this is what you want, follow us to find the best one you should get. Why Do You Need to Scope the Marlin 336? What to Consider Before Buying the Marlin 336 Scope? What is The Best Scope for Marlin 336? What is Your Final Choice? As mentioned above, this is the BIG reason why people invest a scope. It allows you to control the line to shoot the target as well as estimate the distance with ease. Importantly, you don’t need to squint your eyes to hope for the best. You can aim and shoot from farther distances thanks to a wide range. And this also prevents harmful situations. Since you have a proper shot, you can shoot successfully after one try. Not only does this save your bullets but also your time from aiming. With a magnified field of view and image, you can determine where your moving target is. From there, it’s easy to predict the direction and then control your position to aim and fire. Since you don’t need to squint and put pressure on the eyes too much, you can stop severe eye issues. Additionally, when you save time shooting, you won’t strain your neck and tilt your head as well as your arm and back. You even don’t have to bend or squat too low because the scope can have your fire at angles. Once you decide to invest a scope for your Marlin 336, you shouldn’t miss this part. Here are some vital factors that you MUST study carefully before selecting the one you want most. Since the Marlin 336 is designed to trek through the mountains and woods all day, it’s not a heavy rifle. So, the scope is not too massive to avoid weighing down the rifle and eluding your aim when shooting. Most people believe that the ideal magnification power range of the Marlin 336 is a 2x, 3x, or even 4x. However, you perhaps don’t need to go much higher than that. Usually, you won’t shoot at a distance of over 250 to 350 meters. Hence, we suggest a scope with a 3-9x40mm setting. And NOTE that the more you get with the magnifications, the more glass and layers are added, increasing the weight. Choosing a reticle depends on every individual preference. Some love the BDC (bullet drop compensator) reticle since it offers long-range shooting. However, the best performance, in our opinion, should be only out to about 350 meters. Or you can opt for MOA marks or MIL dots because they are versatile and universal. Last but not least, you need to pay attention to the lenses of the scope. The glass needs to be clear, has a broader optic and protective coatings so that you can view the target better. The wider the optic is, the better the light transmission, eye relief, and field of view are. And with more accrued light, you receive less mirage effect and shadow. But avoid choosing too many glass layers, or you add more weight to the scope. 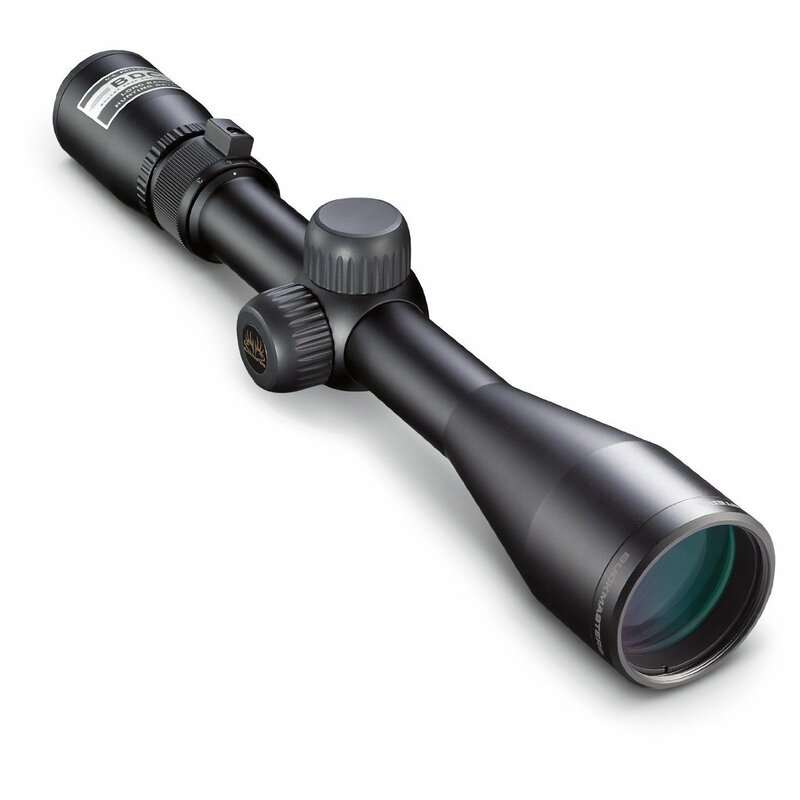 Additionally, you should opt for a scope with fully multi-coated lenses. That means every optical lens is multi-coated with various protective coatings. These coatings help to clear up your view as well as block some reflecting light and shadowing. When it comes to durability, your chosen scope should be waterproof, shockproof, and fog proof. A heavy-duty aviation grade aluminum is often availed for the scope’s body to prevent shock. For fog proofing and waterproofing, it’s gasket-sealed surrounding each lens and gas-purged to substitute any oxygen and keep moisture out. After viewing necessary information above, it’s time to check out our top 3 picks and see what you need to pair to your hunting rifle. Aka the best fruit from both major brands including Nikon and Buckmasters, Nikon Buckmasters II 3-9x40mm is ideal for those wanting a closer magnification. It comes with a BDC reticle, an excellent choice if you need a variety of target ranges. Moreover, you don’t need to adjust the scope’s evaluation setting when shooting. Since hunting is unpredictable and variable, this reticle allows you to maintain accuracy. That’s why this scope is a perfect fit for your Marlin 336. With multiple layers of an anti-reflective system on every lens, this scope offers a high level of anti-reflection ability. It is, therefore, suitable for hunting from dawn to dusk. What’s more, it improves light transmission and contrasts better. From there, you can get an accurate color rendition and flare-free viewing. Overall, the Nikon Buckmasters II 3-9x40mm has no BIG complaints from customers. By mounting it on your rifle, you soon experience quick and easy aiming points no matter what distance you shoot. It can be said that Vortex Optics Crossfire II provides an ideal scope for every weapon in general and Marlin 336 in particular. With the BDC reticle placed in the second focal plane, you can retain its size regardless of the power setting. That means the reticle won’t change its size and always offer the best view when shooting at shorter-range targets. The lenses are also multi-coated, enhancing the amount of light transmission and providing brighter and sharper images. Thanks to the anti-reflective system on all lenses, your accuracy will be improved better. With a long eye relief, you won’t end up getting up a black eye when going out for hunting. Wonderfully, the Crossfire II offers a one-inch tube that is made from aircraft-grade aluminum, making this tube waterproof and strong. Besides, it has great alignment to give you the super visual performance when shooting. Aside from two famous brands above, Leupold is popular for its high quality as well. And the VX-1 scope is what you need for your Marlin 336 since it delivers all excellent features. The first thing that makes it outstanding is its versatile erector system, up to a 3:1 ratio. This allows you to zoom up to three times the range of a normal scope as well as acquire coverage more than hundreds of meters. As its name suggests, this product comes with waterproofing and fog proofing. So, no matter what it’s rainy or misty, nothing can stop you to aim and shoot the targets. To offer clarity in different lighting conditions, the VX-1 scope boasts about a multicoated lens system. This doesn’t only improve clarity throughout the visual field but also offer sharp images, even when the sun is down. Unlike other scopes in this list, this one is easily adjustable by the finger thanks to the ¼ MOA clicks. Is a BDC reticle good for your Marlin 336? Indeed, it’s dependent on your taste. Some love the BDC reticle simply because it’s suitable for long distance targeting. 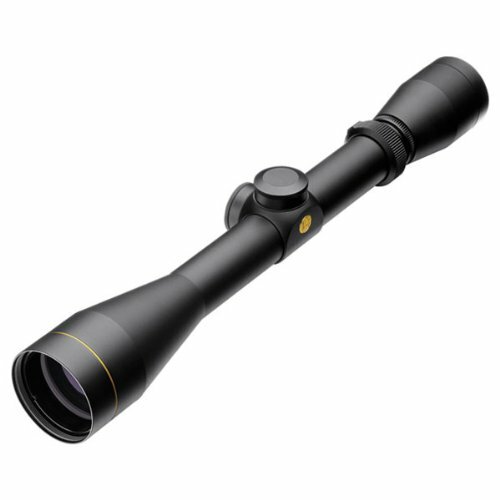 Moreover, its functioning range is only 350 meters, perfect for hunting. Is there any difference between a fully multi-coated lens and fully-coated lens? A fully multi-coated lens has various protective layers of coatings on each lens. Meanwhile, a fully-coated lens has a protective coating. Is there any difference between a QTA and a fast-focus eyepiece? Both eyepieces are the same. They are a system for directing and focusing the reticle to the distance of the target. But the only difference is that the QTA belongs to the Simmons brand. Among our three selections above, we found the Nikon Buckmasters II 3-9x40mm to be the best scope for Marlin 336. What’s excellent about this product is that it is lightweight and well-made to last for a long time. Besides, it provides the impressive accuracy that allows you to shoot the targets with ease. Of course, it’s waterproof, shockproof and fog proof to give bright and clear images in any situation. However, it doesn’t mean that the other scopes are not worth. Since each depends on personal preferences, you can easily find the one you want best. And if you know it, ORDER NOW and get ready for an exciting hunting season. Have fun!